A nice MG, novel that wasn't difficult to relate to at all. I'm starting to love MG novels because of books like this. After an automobile accident, Isabel St. James-resident drama coach and drama queen-needs help putting together the church play. Mama insists April Grace and Myra Sue will help. April's fall is now devoted to spending every afternoon with Isabel and Myra Sue-if anyone is as big of a drama queen as Isabel, it's Myra Sue. Plus, she's dumb. (Okay, not dumb, but "older sister dumb.") If that's not enough, Isabel is wreaking havoc in the community trying to get Rough Creek Road paved, the new boy at school will "not" leave her alone, and then Mama drops the biggest bombshell of all . . . April Grace is no longer going to be the baby of the family . . . 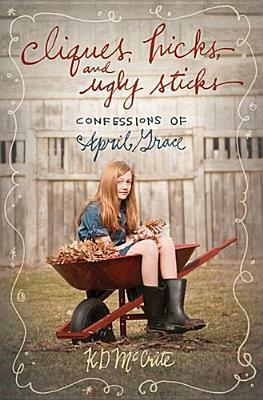 The 2nd book in the Confessions of April Grace series leaves us with April Grace's trying to cope with a lot of things, and all the sudden changes in her life are confusing our young protagonist. Isabel was caught up in an accident but was still as big a drama queen as ever, tormenting her husband Ian. Myra Sue still worships Isabel, and April Grace's friend, Lottie, is now part of a mean girl clique. On top of it, April Grace's Mama has been acting weird, and when April Grace found out the reason why... it's like a big bomb dropped in front of her. It was so fun reading of April Grace. She is very outspoken for an eleven year old. She has a mind of her own and tells things like it is. She's frank and she's not a girl who you can push around. I think she's very mature considering she's not even 12 yet. She's this sassy, smart girl trying to make sense of her life because she's changing and growing. She's at that point where boys confuse her, friends do not make sense, and she's having a hard time finding her place in a family undergoing changes because of an unexpected surprise: a new baby. Will she be a good older sister? Is it safe for her mom to still get pregnant? Will she still be loved when the baby comes? You'd think an eleven year old wouldn't think of those things but April Grace did, and it's natural for her to feel that way. What April Grace was experiencing was something tweens can relate to. 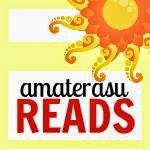 Even us readers who aren't in our teens anymore can too! April Grace's experience made me miss middle school, and that time in between where I'm not quite a kid anymore but not a teen just yet. The setting, the atmosphere and the speech gave that authentic Southern feel which I really liked. This book imparts a lot of lessons through April Grace's experiences. Maybe sometimes change is good, that being in a clique is not fun, that maybe having different friends and ideas and likes is all part of growing up. I find myself laughing quite a bit because of April Grace. She's a good kid, and even though some of her ideas and thoughts get her into trouble, you couldn't help but love her because of her bright personality and how she was able to deal with an overbearing neighbor, a spoiled sister and a changing family without letting all of these problems get into her. Cliques, Hicks, and Ugly Sticks is a Christian fiction book, but it's not preachy. If you worry about reading that kind of book, that's not the case with this one. It's got the right amount of things about the Christian faith and God woven into it. K.D. McCrite crafted such a charming book with engaging characters that it would be hard to not like this! Okay: Liked, but The Goddess demands more! That Southern feel is very obvious in the cover!